Here is the complete tutorial and step by step instructions on how to unlock Samsung Galaxy S8 by Unlock Code so that you can use with any gsm carrier. 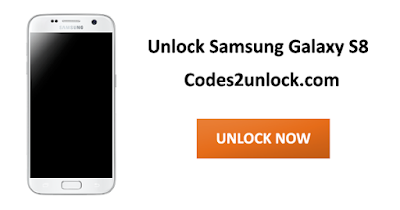 Codes2unlock.com is proud to announce that we are the direct source for Unlocking Samsung Galaxy S8. We provide a fast, easy and secure way to unlock with LOWEST PRICE GUARANTEED. After unlocking you can use it with any gsm network. *Important Note - Due to latest change called "Region Lock" of new Samsung devices, your Galaxy S8 must be activated with original carrier first before proceeding to Unlocking Samsung. If you try to unlock your Galaxy S8 without activating with original carrier you may not be able to permanently unlock your device. If you previously used your Galaxy device with your original carrier, it doesn't apply to you. 1. 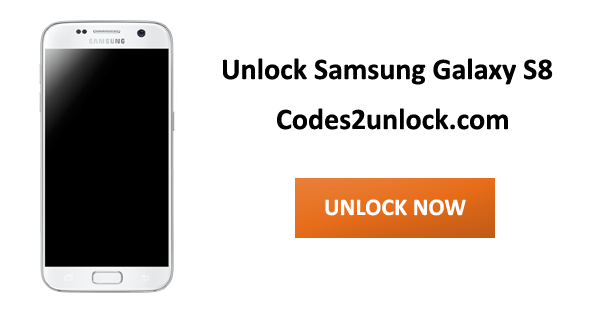 Samsung Galaxy S8 Unlock Code on your email. 2. Samsung Galaxy S8 Phone Unlocking Instructions on your email. 1. Please make sure your Samsung Galaxy S8 has been activated with original carrier. 5. Your Galaxy S8 is now Permanently unlocked! There is no risk of damage in unlocking of your Samsung Galaxy S8 by Unlock Code.